- Glitter glue in nalepke s katerimi sem napisala ime. A super card Marjeta, such a fun image and great design. What a wonderful card for a boy! Thanks for joining us at Crafting from the Heart this week. Please link directly to the Challenge post rather than the Challenge blog to be eligible for the prize or Favorite. Prav super in zabavno je izpadla. Fun card, great design. Thanks for joining us at CHNS patterned Paper Challenge this month. 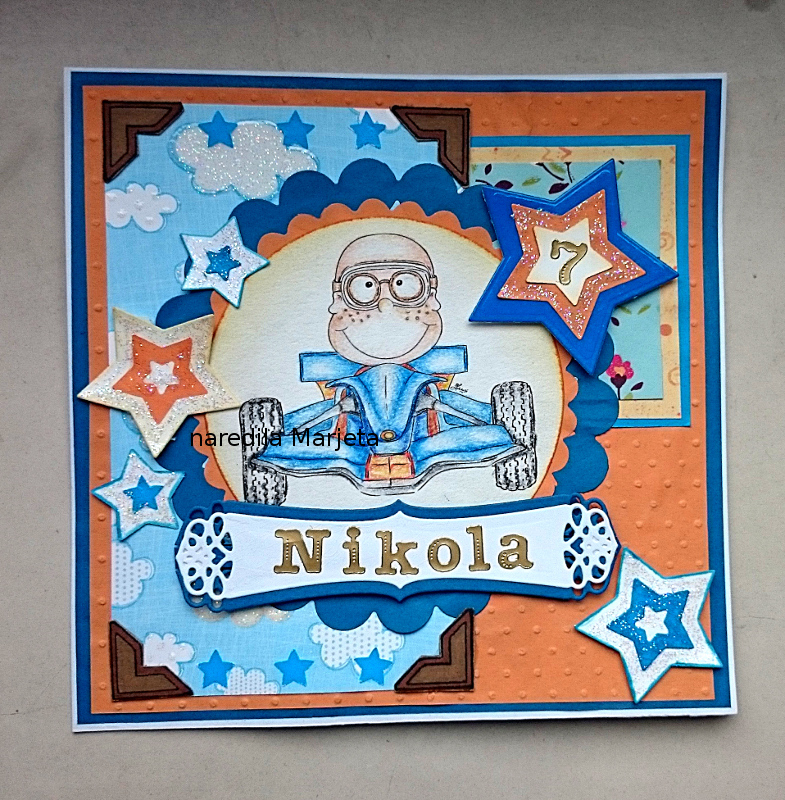 This is a fantastic card for boy/man, my Grandson would love this image and love the layout Marjeta.